A Little Bit of This, A Little Bit of That, A Whole Lot of Feeling Very Blessed! Summer is progressing quickly at our house. At the beginning of the month Jeff and I were in Davie, Florida where we, saw our beautiful niece marry the love of her life. This trip was also a family reunion. One that was a long time coming for me, having not sat down to enjoy and giggle over the past with my husband’s family in too many years. All of us being busy with our lives, raising children ect… We returned home with new memories and a light in our hearts. Immediately following, additional blessings came our way. The first blessing was bringing Jeff’s Mom and Dad home with us. I wrote about them in my post entitled, “Fort Wayne, Indiana.” Mom and Dad are in their nineties now. Jeff and I are so privileged that they are staying with us for a few weeks. It is a joy to include them in our everyday life, such as driving the golf cart over to let the horses in and out. The next day the second blessing came our way. Aldon, arrived to spend the summer with us. When Jeff (Baboo) pulled into the drive from the airport, Aldon burst through the door full of soon to be, nine-year-old energy and ran to each person distributing hugs and kisses and hordes of abundant love. He has been our joy and ambition, the fire that keeps us older folk going. Despite high temperatures hitting over one hundred degrees, we’ve managed to take care of the horses. Mostly, we brush and hose them down. I ride in the early mornings after Jeff has finished an even, earlier morning bike ride. I braid the horses manes in the summer because of the heat. Last Saturday Aldon and I rode Dude. Afterward we let him graze around us while we sat in the shade, enjoying a Kool Pop. Our barn keeps Kool Pops in the freezer as a treat for overheated riders. Aldon’s gone on long bike rides with Baboo. Sometimes I take him swimming in the afternoons. I also have a collection of toys and books that we keep here at the house for his visits. They help create that home away from home feel. And this is his home. He knows that. He has three, homes; his home with mom and dad, Pawpaw’s house and his house in Texas. My garden has been a great sense of joy. Aldon helps me with it. Over his spring break we went to Lowe’s and purchased an assortment of plants and vegetables, which we promptly planted. Our backyard is cloked in shade with filters of sunlight falling on the plants. Providing a soothing shield from the fiery sun. Aldon helps me water the garden in the evenings. Although we both get soaked in the process, which, of course, is part of the fun. I send him to the shower. Around eight, he pretends to go to bed. Then he and Jeff carry out a nighttime routine of sneaking out of the house to hit the bike trails. For such adventures we keep the bikes loaded in the car. The third blessing has been seeing my children more often now that grandma and grandpa Kissell are with us. Juli lives close. We sometimes visit her after she returns from work in the evening, to share stories of our day and a cool, refreshing drink as Aldon puts it. Sometimes Juli comes to the house for a weekend meal. Our son Pat and his sweet girlfriend Sam met us for dinner the other night. We also met Sam’s parents which was a treat! Chris and Erin visited the house. For the 4th of July we’re gathering together for a barbecue. Grateful for America’s independence., particularly since Dad, Chris, Pat and my son Andy are all veterans! Both Jeff and I had hoped to create a layback schedule for our family but found that we in turn run full tilt the moment our feet hit the floor. But it’s good to fill our days with activities, good meals, iced drinks and plenty of healthy (and unhealthy) snacks. In the evenings we unwind, sometimes sipping a glass of wine while sitting in our garden room, enjoying the garden’s lush greenery. The plants has grown tall and beautiful, although I haven’t had the time to work the beds the way I hoped. They aren’t manicured and full of cedar mulch. Instead, my mulch consists of thick layers of leaves that insisted on falling all spring. In truth, the natural compost enriches the soil. I’ll address neatness in the fall, when the weather has cooled and our schedule has fallen into routine. When Captain America is back in Mississippi attending school, leaving my heart a bit empty. For now, I’ve decided to simply enjoy my family and the gardens beauty. 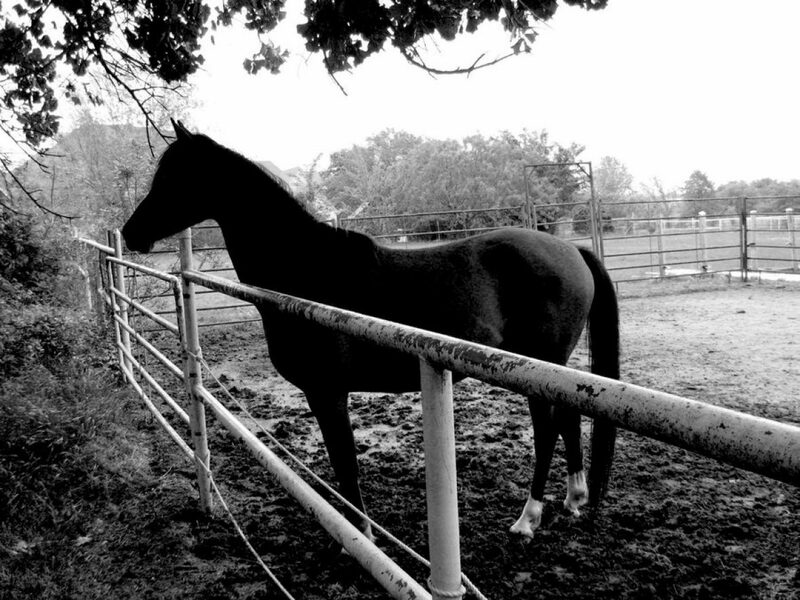 To bask in the pleasure of having my loved ones near, my horses, healthy and strong. Treasuring every day as a gift. Because everyday is a gift!